1 map ; 59 x 41 cm. 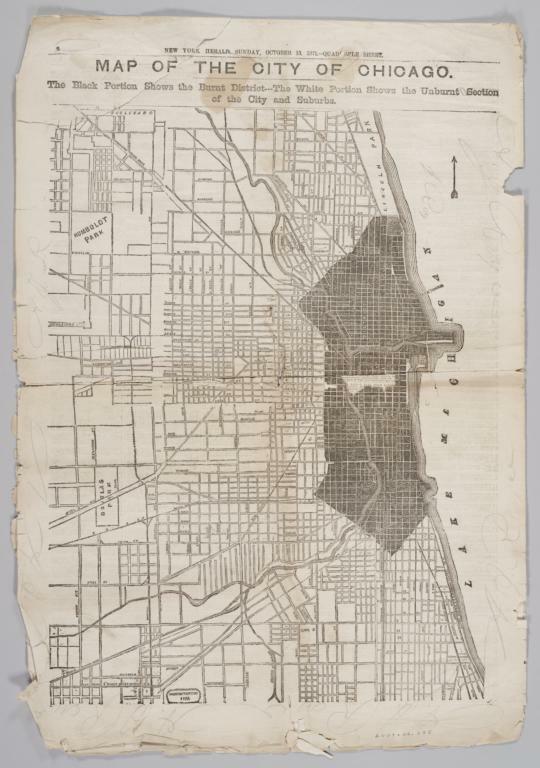 Great Fire, Chicago, Ill., 1871 > Maps. 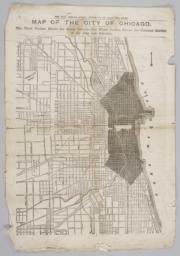 The black portion shows the burnt district; the white portion shows the unburnt section of the city and suburbs.